Thanksgiving has already come and gone--maybe you're still recovering--Christmas is less than 25 days away and before we know it we'll be ringing in 2010 and saying sayonara to what felt like a speedy 2009. Yep, the end of the year is nearing faster than you’d like to admit and you’re watching your calendar decrease in training hours and increase in social soirees. With those parties on tap, often inevitably replacing the workouts, you’re starting to wonder have you can have your cake and eat it too, without being unable to squeeze into your pants come January. Before you find yourself setting your New Year’s Resolutions to rebound from an overeating holiday season and lose 10 pounds, check out these five tips to avoid holiday weight gain. Balance your meals to avoid "glucose" overload. Eat 3 to 4 ounces of protein followed by three 10-gram servings of carbs along with a 5-gram serving of fat (zone diet) so that you stay satiated longer. This is a proper 3-3-1 balance that correlates to the Zone Diet: 20 grams of protein to 30 grams of carbs to 5 grams of fat. Drink one to two glasses of water prior to gorging yourself at parties or events. Not only will it help you stay hydrated, but you’ll find yourself feeling full before helping yourself to another round of hors d’oeuvres or cocktails. Add some turkey trots or holiday runs to your festivities. The temperatures might cool off but running is still hot in Chicago with runs from now until the New Year. Turkey Trots abound on Thanksgiving, rev your metabolism for the indulging and still get you home in time to put the bird in the oven. Not in the mood to race? You can still get out and run with any of the weeknight fun runs at running stores around the city and suburbs who run year-round. Seeing a hotel room more than your own bed this season? Pick exercises that are doable when you are away from your gym or house. Think cardio that you can do in your hotel room like plyometrics or a workout DVD you can play on a laptop. Portable fitness can make it easier to stay committed to maintaining your routine even when your schedule makes it seem impossible. Remember to eat and never skip meals. If you know you’re attending a food-filled party, that shouldn’t be your excuse to skip breakfast or lunch so you can pack in the calories later. You might think you can lose weight by skipping meals, but instead it comes back at you times two: Your metabolism can slow, causing you to store body fat because you limited your calories for too long, and you might binge-eat at night which leads to weight gain. 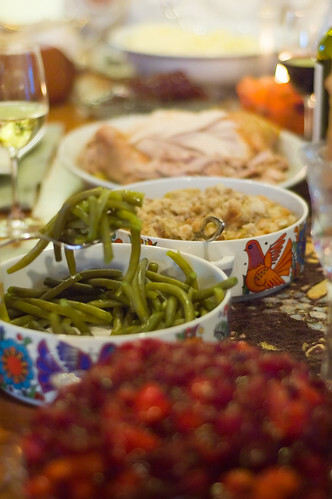 Even in sticking to meals, you can enjoy those holiday treats, just in moderation. And don’t forget that you can still have fun at all of this season’s activities without stressing too much about what’s going into your belly and how much you’re sweating off during exercise. For related articles, check out these links at WebMD, That's Fit, About.com, Active.com and Centralhome.com. ultimatefatburner.com provides sensible information about weight loss and diet supplements and chance to win $100 for your choose Supplements.